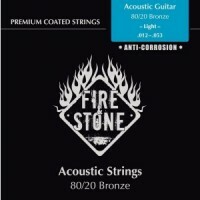 A130CL Bronze Acoustic guitar Custom light set Savarez 11-52245 years of experience in strings ..
A130L Bronze Acoustic guitar Light set Savarez 12-53245 years of experience in strings maki..
A130M Bronze Acoustic guitar Medium set Savarez 13-55245 years of experience in strings mak..
A130XL Acoustic guitar extra light set Savarez245 years of experience in strings making and..
A140CL Ph. 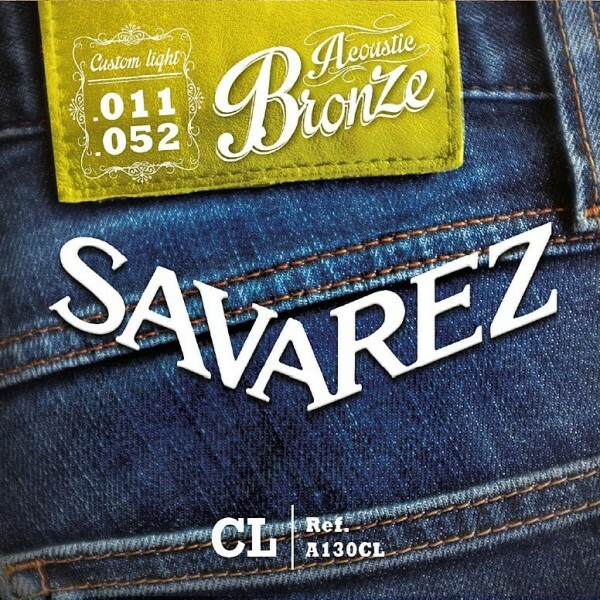 Bronze Acoustic guitar Custom light set Savarez 11-52245 years of experience in stri..
A140M Ph. 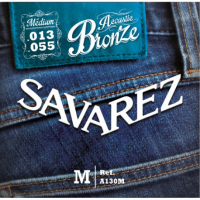 Bronze Acoustic guitar Medium set Savarez 13-56245 years of experience in strings..
A140XL Ph. 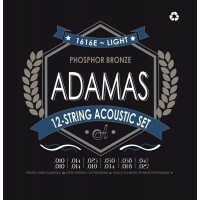 Bronze Acoustic guitar extra light set Savarez 10-47245 years of experience in s..
Adamas 1717E Phosphor Bronze Acoustic Guitar Strings 10-47Οι θρ&upsil..
Adamas 1749E Phosphor Bronze Acoustic Guitar Strings 11-52Οι θρ&upsil..
Adamas 1818E Phosphor Bronze Acoustic Guitar Strings 12-53Οι θρ&upsil..
Adamas 1919E Phosphor Bronze Acoustic Guitar Strings 13-56Οι θρ&upsil..
Daddario ECB81 Chromes Bass 45-100 Long ScaleECB81, D'Addario's best-selling Flatwound ..
D'Addario's EJ27N Classic Nylon guitar strings are great for beginners, students and professional..
Daddario EJ44 Pro-Arte Nylon Extra Hard TensionEJ44, extra hard tension, is optimal for max..
EJ46, hard tension, is a popular choice for its rich tone, increased resistance and strong projec..
D'Addario EXL110 Nickel Wound, Regular Light, 10-46 EXL110, D'Addario's best s..
D'Addario EXL115 Nickel Wound, Medium/Blues-Jazz Rock, 11-49 EXL115 is the popular cho..
D'Addario EXL120 Nickel Wound, Super Light, 9-42EXL120, one of D'Addario's best sel..
Daddario J97 Greek Bouzouki, 8-String, Nickel WoundD'Addario's J97 strings are designed for..
Earthwood Extra Light Acoustic 80/20 Bronze 2006Made from 80% copper, 20% zinc wire wrapped ..
Earthwood Medium Acoustic 80/20 Bronze 2002Made from 80% copper, 20% zinc wire wrapped around h..
Singles with NANOWEB Coating for BassThe Nickel Plated Steel Bass Strings deliver a fuller .. 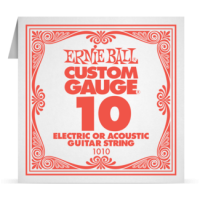 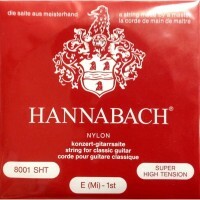 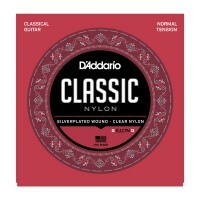 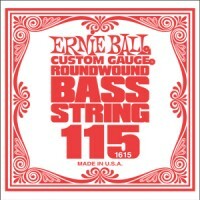 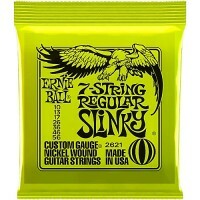 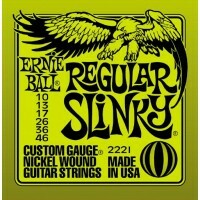 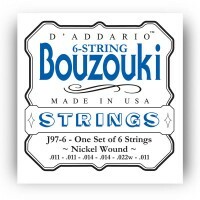 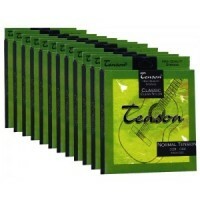 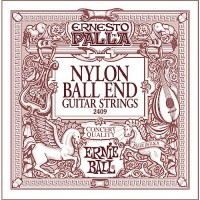 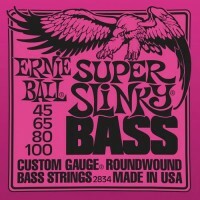 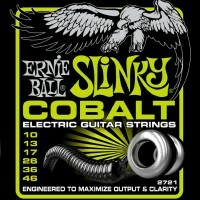 These Elixir Strings deliver the bright, lively tone and feel of traditional 80/20 bronze strings. 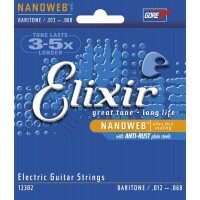 ..
Elixir Strings Acoustic Phosphor Bronze with NANOWEB Coating deliver distinctive phosphor bronze war..
Elixir Nanoweb Electric Strings 09-42 12002Elixir Strings for electric guitar give you great..
Elixir Nanoweb Electric Strings 12-52 12152Elixir Strings for electric guitar give you grea..
Elixir Nanoweb Electric Strings 12-68 Baritone 12302Elixir Strings for electric guitar give ..
Elixir Nanoweb HD Light 80/20 Bronze 13-53 11182Elixir Acoustic Nanoweb strings don't just s..
Elixir Nanoweb Light Bass Guitar 45-100 14052Elixir Nickel Plated Steel Bass Strings with a..
Elixir Nanoweb Medium Bass Guitar 45-105 14077Elixir Nickel Plated Steel Bass Strings with ..
Elixir Nanoweb Nickel Plated Steel Electric Strings 10-46 12052Elixir Electric Nickel..
Elixir Nanoweb Nickel Plated Steel Electric Strings 10-52 12077Elixir Electric Nickel Plate..
Elixir Nanoweb Nickel Plated Steel Electric Strings 11-49 12102Elixir Electric Nickel Plate..
Elixir Nanoweb Super Light Bass Guitar 40-95 14002Elixir Nickel Plated Steel Bass Str..
Elixir Optiweb nickel plated steel Electric Strings 09-42 19002Elixir® Electric Nickel ..
Elixir Optiweb nickel plated steel Electric Strings 09-46 19027Elixir® Electric Nickel ..
Elixir Optiweb nickel plated steel Electric Strings 10-46 19052Elixir® Electric Nickel ..
Elixir Optiweb nickel plated steel Electric Strings 10-52 19077Elixir® Electric Nickel ..
Elixir Optiweb nickel plated steel Electric Strings 11-49 19102Elixir® Electric Nickel ..
Elixir Strings with POLYWEB Coating have the warm tone of "played-in" strings and reduce f..
Elixir Polyweb Extra Light 80/20 Bronze 10-47 11000Elixir Strings with POLYWEB Coating have the..
Elixir Polyweb Light 80/20 Bronze 12-53 11050Elixir Strings with POLYWEB Coating have the w..
Singles with NANOWEB Coating for BassThe Nickel Plated Steel Bass Strings deliver a fuller round..
Ernie Ball 008 Plain Steel ﻿Electric and Acoustic Guitar 1008 ﻿Made of specially tempered ti..
Ernie Ball 009 Plain Steel ﻿Electric and Acoustic Guitar 1009Made of specially tempered tin ..
Ernie Ball 010 Plain Steel ﻿Electric and Acoustic Guitar 1010Made of specially tempered tin ..
Ernie Ball 011 Plain Steel ﻿Electric and Acoustic Guitar 1011Made of specially tempered tin..
Ernie Ball 012 Plain Steel ﻿Electric and Acoustic Guitar 1012Made of specially tempered tin..
Ernie Ball 013 Plain Steel ﻿Electric and Acoustic Guitar 1013Made of specially tempered tin..
Ernie Ball 014 Plain Steel ﻿Electric and Acoustic Guitar 1014 ﻿Made of specially tempered ti..
Ernie Ball 015 Plain Steel ﻿Electric and Acoustic Guitar 1015 ﻿Made of specially tempered ti..
Ernie Ball 016 Plain Steel ﻿Electric and Acoustic Guitar 1016Made of specially tempered tin..
Ernie Ball 017 Plain Steel ﻿Electric and Acoustic Guitar 1017Made of specially tempered tin..
Ernie Ball 018P Plain Steel ﻿Electric and Acoustic Guitar 1018 ﻿Made of specially tempered t..
Ernie Ball 018W Nickel Wound ﻿Electric and Acoustic Guitar 1118Made from nickel plated stee..
Ernie Ball 020 Slinky Acoustic Guitar Phosphor bronzeMade from 92% copper, 7.7% tin, 0.3% p..
Ernie Ball 020P Plain Steel ﻿Electric and Acoustic Guitar 1020Made of specially tempered ti..
Ernie Ball 020W Nickel Wound ﻿Electric and Acoustic Guitar 1120Made from nickel plated stee..
Ernie Ball 022 Slinky Acoustic Guitar Phosphor bronzeMade from 92% copper, 7.7% tin, 0.3% ph..
Ernie Ball 022P Plain Steel ﻿Electric and Acoustic Guitar 1022Made of specially tempered ti..
Ernie Ball 022W Nickel Wound ﻿Electric and Acoustic Guitar 1122Made from nickel plated stee..
Ernie Ball 024 Slinky Acoustic Guitar Phosphor bronzeMade from 92% copper, 7.7% tin, 0.3% p..
Ernie Ball 024P Plain Steel ﻿Electric and Acoustic Guitar 1024Made of specially tempered ti..
Ernie Ball 024W Nickel Wound ﻿Electric and Acoustic Guitar 1124Made from nickel plated stee..
Ernie Ball 026 Nickel Wound ﻿Electric and Acoustic Guitar 1126Made from nickel plated steel..
Ernie Ball 026 Slinky Acoustic Guitar Phosphor bronzeMade from 92% copper, 7.7% tin, 0.3% ph..
Ernie Ball 028 Clear 1ST Nylon Classic Guitar 1501Plain strings are made of a solid nylon fi..
Ernie Ball 028 Nickel Wound ﻿Electric and Acoustic Guitar 1128Made from nickel plated steel..
Ernie Ball 028 Slinky Acoustic Guitar Phosphor bronzeMade from 92% copper, 7.7% tin, 0.3% p..
Ernie Ball 030 Nickel Wound ﻿Electric and Acoustic Guitar 1130Made from nickel plated steel ..
Ernie Ball 030 Silver 4TH Nylon Classic Guitar 1534Silver plated copper wrapped around a core o..
Ernie Ball 030 Slinky Acoustic Guitar Phosphor bronzeMade from 92% copper, 7.7% tin, 0.3% p..
Ernie Ball 032 Clear 2ND Nylon Classic Guitar 1502Plain strings are made of a solid nylon f..
.032 NICKEL WOUND BASSMade from nickel plated steel wire wrapped around tin plated hex shap..
Ernie Ball 032 Nickel Wound ﻿Electric and Acoustic Guitar 1132Made from nickel plated steel wir..
Ernie Ball 032 Slinky Acoustic Guitar Phosphor bronzeMade from 92% copper, 7.7% tin, 0.3% p..
Ernie Ball 034 Nickel Wound ﻿Electric and Acoustic Guitar 1134Made from nickel plated steel..
Ernie Ball 034 Slinky Acoustic Guitar Phosphor bronzeMade from 92% copper, 7.7% tin, 0.3% p..
Ernie Ball 036 Nickel Wound ﻿Electric and Acoustic Guitar 1136Made from nickel plated steel..
Ernie Ball 036 Silver 5TH Nylon Classic Guitar 1535Silver plated copper wrapped around a core o..
Ernie Ball 036 Slinky Acoustic Guitar Phosphor bronzeMade from 92% copper, 7.7% tin, 0.3% p..
Ernie Ball 038 Nickel Wound ﻿Electric and Acoustic Guitar 1138Made from nickel plated steel..
Ernie Ball 038 Slinky Acoustic Guitar Phosphor bronzeMade from 92% copper, 7.7% tin, 0.3% p..
Ernie Ball 040 Clear 3RD Nylon Classic Guitar 1503Plain strings are made of a solid nylon f..
.040 NICKEL WOUND BASSMade from nickel plated steel wire wrapped around tin plated hex shaped s..
Ernie Ball 040 Nickel Wound ﻿Electric and Acoustic Guitar 1140Made from nickel plated steel..
Ernie Ball 040 Slinky Acoustic Guitar Phosphor bronzeMade from 92% copper, 7.7% tin, 0.3% p..
Ernie Ball 042 Nickel Wound ﻿Electric and Acoustic Guitar 1142Made from nickel plated steel..
Ernie Ball 042 Silver 6TH Nylon Classic Guitar 1536Silver plated copper wrapped around a co..
Ernie Ball 042 Slinky Acoustic Guitar Phosphor bronzeMade from 92% copper, 7.7% tin, 0.3% p..
Ernie Ball 044 Nickel Wound ﻿Electric and Acoustic Guitar 1144Made from nickel plated steel..
Ernie Ball 044 Slinky Acoustic Guitar Phosphor bronzeMade from 92% copper, 7.7% tin, 0.3% p..
.045 NICKEL WOUND BASSMade from nickel plated steel wire wrapped around tin plated hex shaped s..